If you are reading this, you are probably back to your routine after a great long weekend! It was Canada Day! As a Canadian company, we love Canada Day just as much as you! The best part is that the fun does not have to stop! With the great weather upon us you can be as adventurous as you’d like all throughout the week or for the rest of the summer for that matter. If you were wondering how you could make the most out of your summer to ensure every weekend feels as great as this past long weekend, here are a few suggestions from the Urban Poling Team! 1. Make time to stay active- As much as we all deserve some R&R (Rest & Relaxation) it is just as important to get outside and enjoy the fresh air and get your dose of Vitamin N…. Nature! Research shows that “Green Exercise” (which is exercising in the presence of nature) is effective at improving mood and self esteem overall leading to positive short and long-term health outcomes. Too add, the Canadian Society for Exercise Physiology recommends we obtain 150 minutes per week of heart pumping aerobic exercise as well as minimum of 2 days per week of strength training to reduce the risk of chronic diseases later in life. Most importantly, try to limit your time spent being sedentary (seated) and youll be sure to make the most of summer. 2.Pack the essentials: When preparing to go outdoors, make sure you have a few essentials with you. Firstly, always remember a bottle of water as a Hydrated you = a Happy you ! Secondly, do not forget to apply sunscreen as well as pack some to reapply while on the go. If you’re going into a wooded area, bring along some bug spray, especially if there is a tick warning! Next, a snack is always a good idea when on the go to keep our body in check between meals. Lastly and equally as important are your Urban Poles! Not only will your poles be a great tool if you’d like to hike through new places for added support but they #PowerUp your walk. This means that by using poles while walking you can now engage about 90% of your body’s muscles allowing you to burn anywhere between 20-46% more calories. 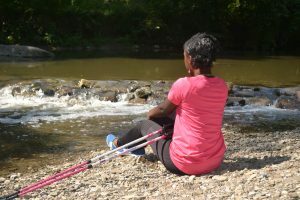 To add, Nordic walking is a great combination between that Aerobic Exercise and Strength training mentioned above, which means you are essentially getting 2 exercise styles in 1 fun and easy activity! It’s a win-win. 3. Where should you go? No need to travel hours away to be amazed. Believe it or not, there are some breathtaking places just outside your doorstep! 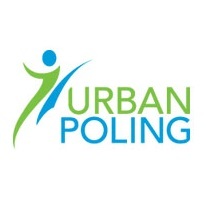 Urban Poling Inc. is a proud partner with Conservation Ontario. Together we encourage you to #StepIntoNature with over 300 Conservation areas in Ontario open to visitors. While youre at it, snap a photo and share it as part of their Healthy Hikes Campaign on until October 31st. If you reside outside of Ontario we still encourage you to visit your local Conservation authority to embrace the beauty that is Canada ! Most importantly, remember to have FUN, make MEMORIES with loved ones and stay SAFE this summer !